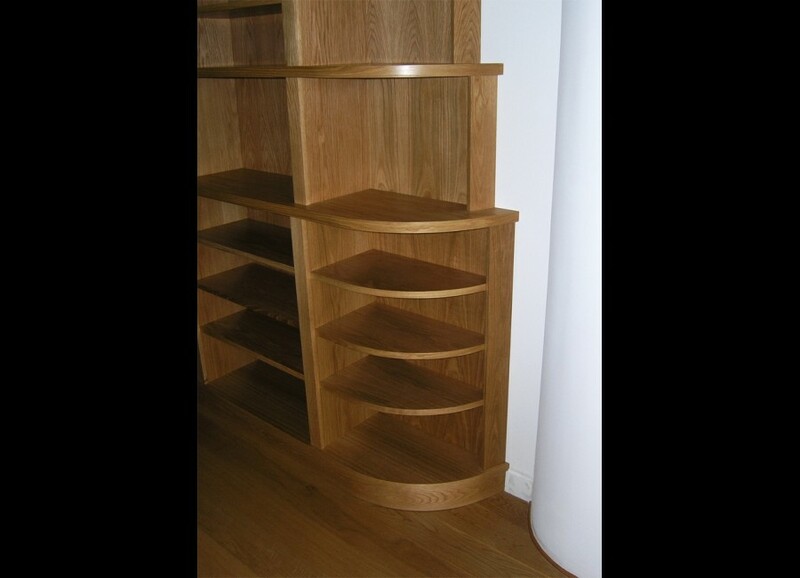 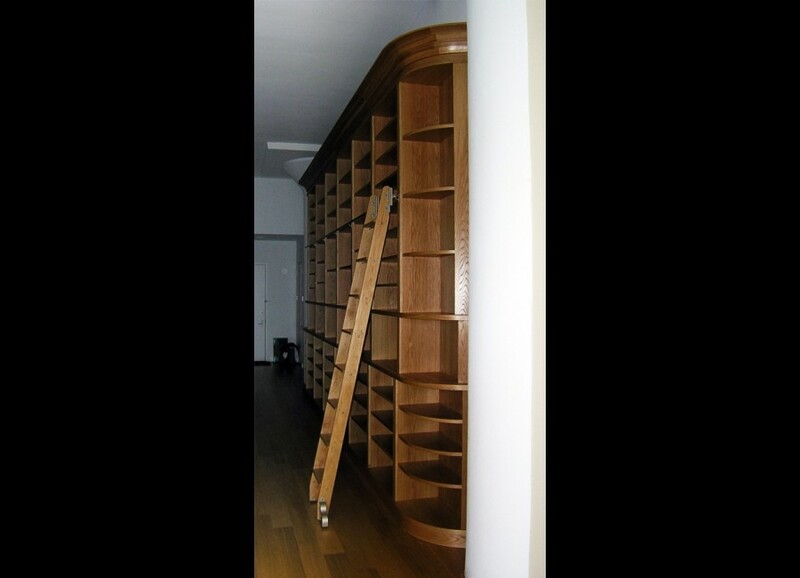 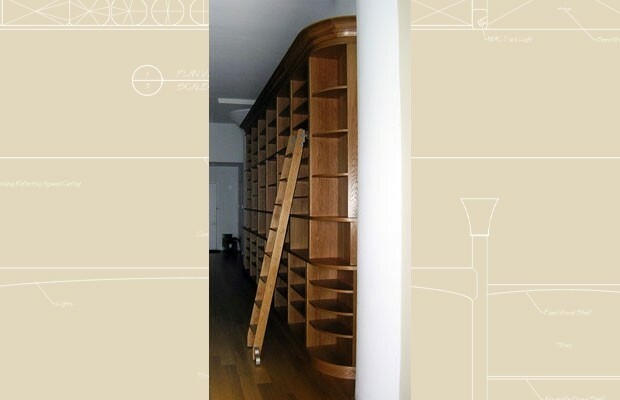 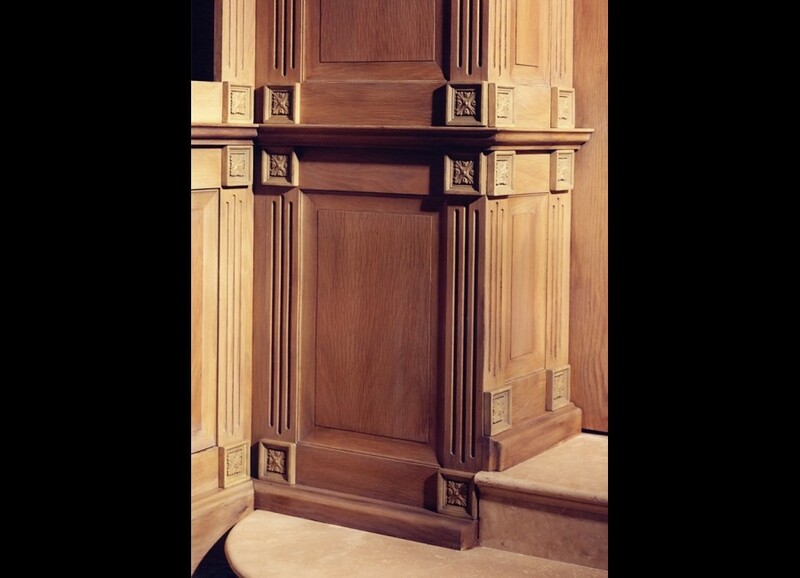 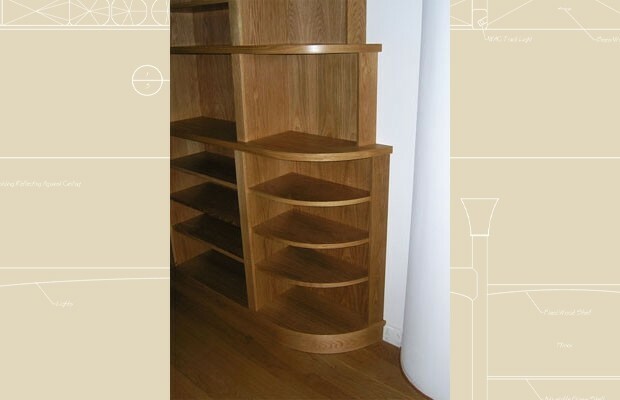 White Oak with custom rolling library ladder. 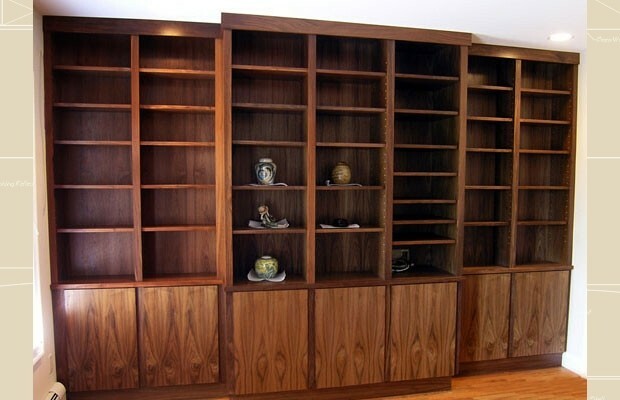 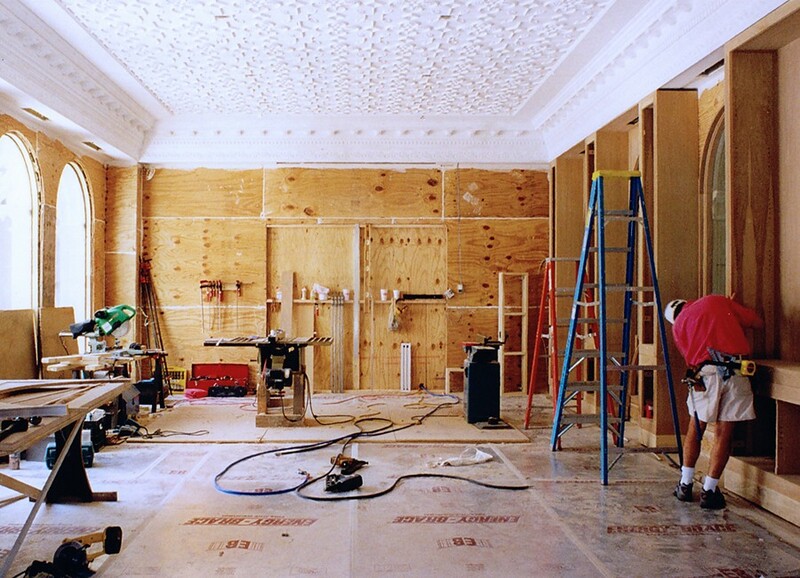 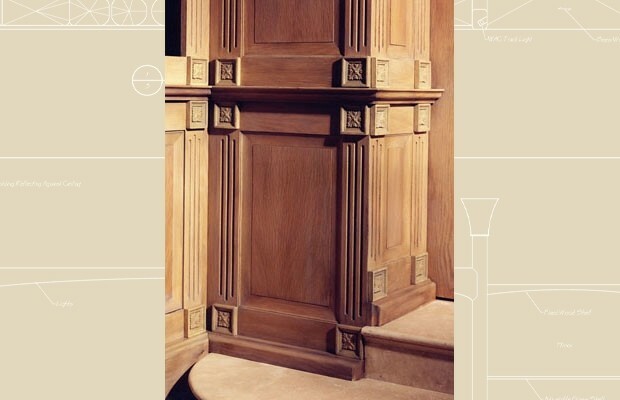 For a private residence — White Oak with hidden closets lined in felt for the dining table leaves, pocket doors, molding matching concrete ones outside the room. 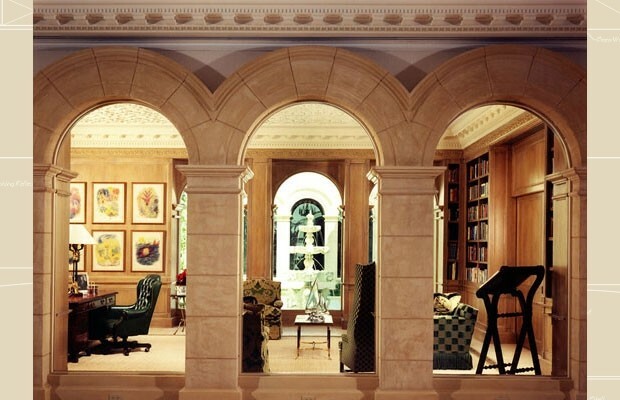 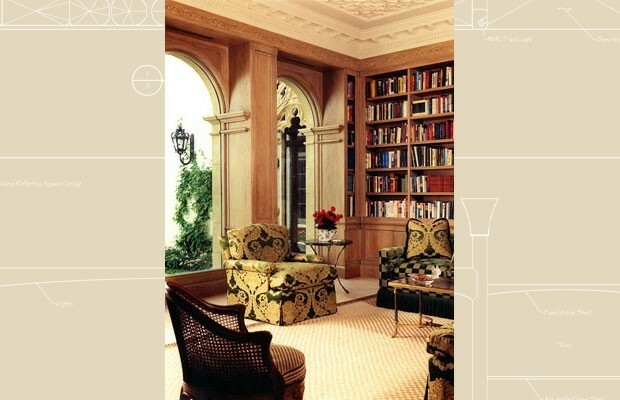 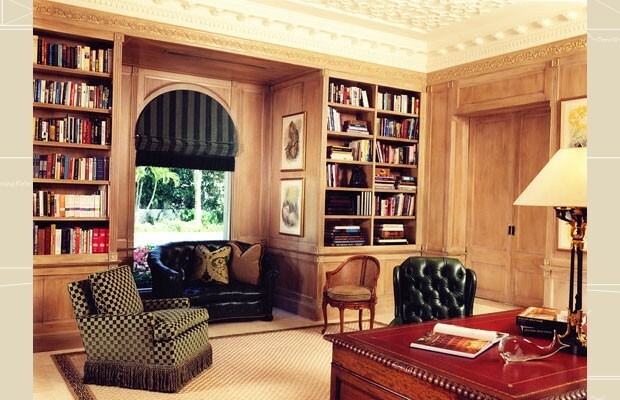 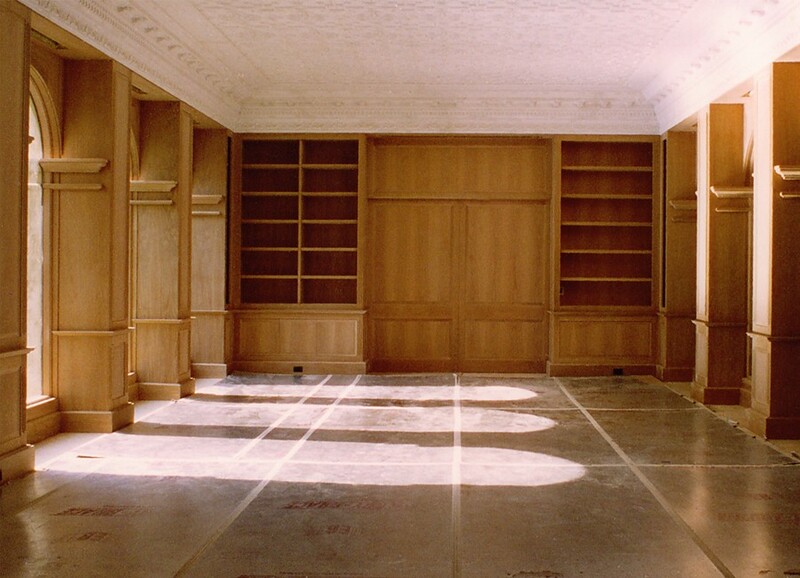 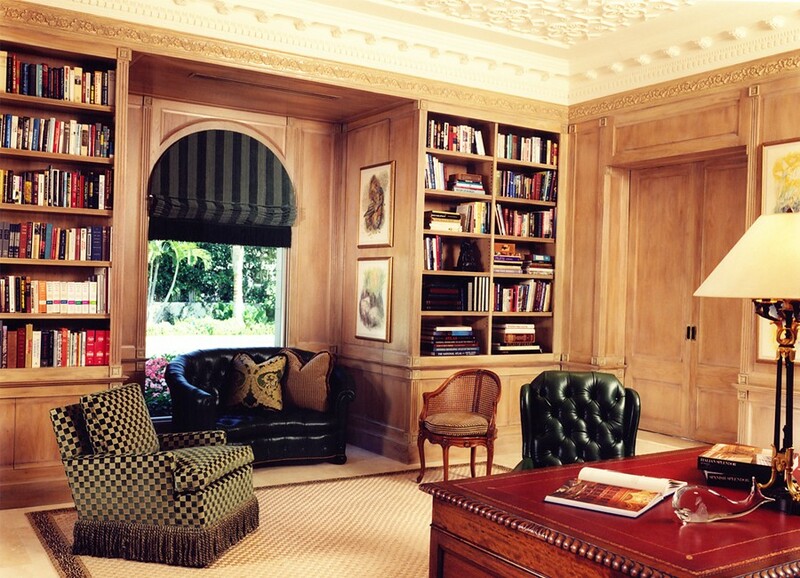 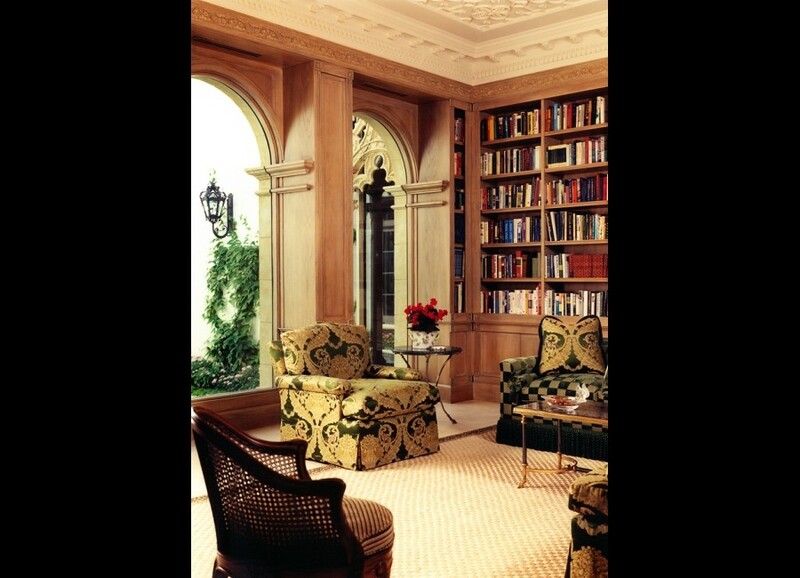 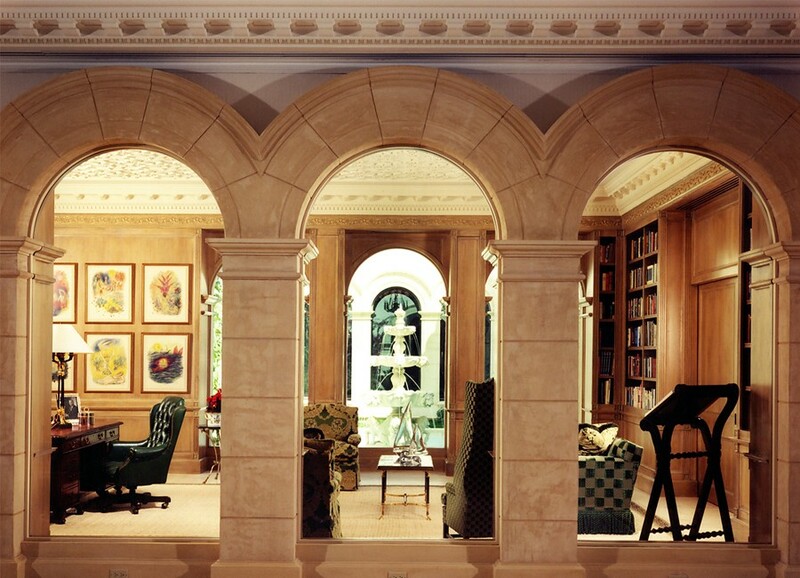 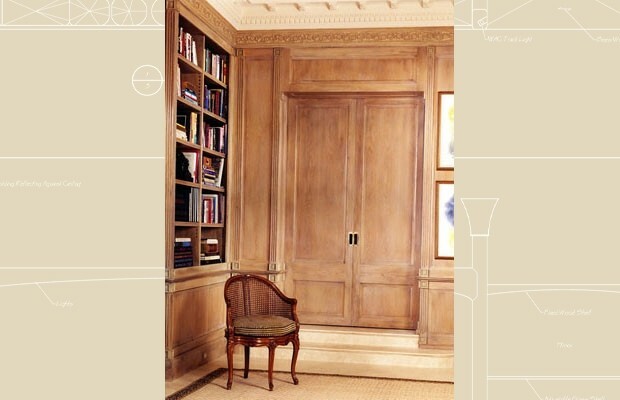 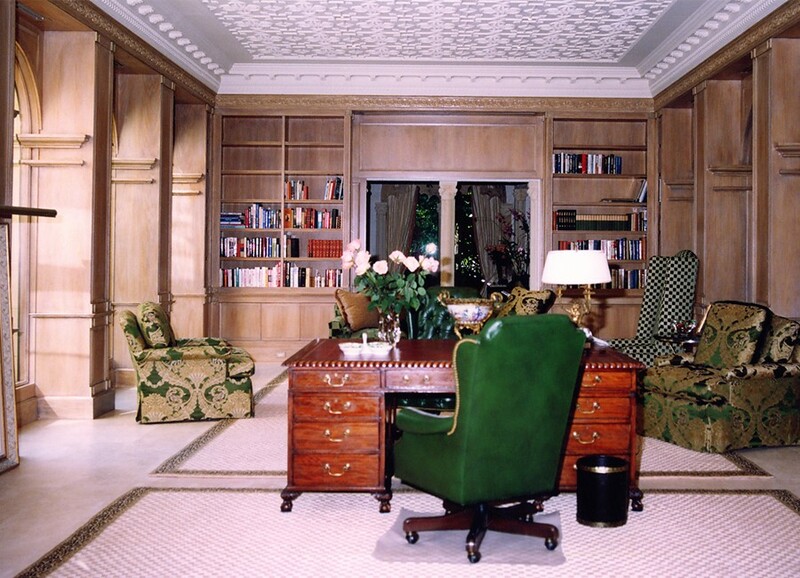 Library built by Rapaport Designs. 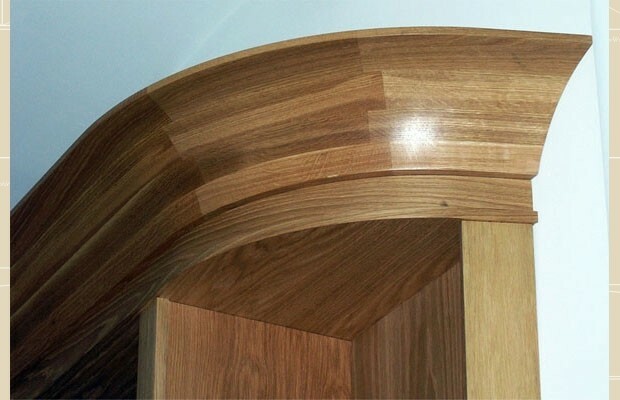 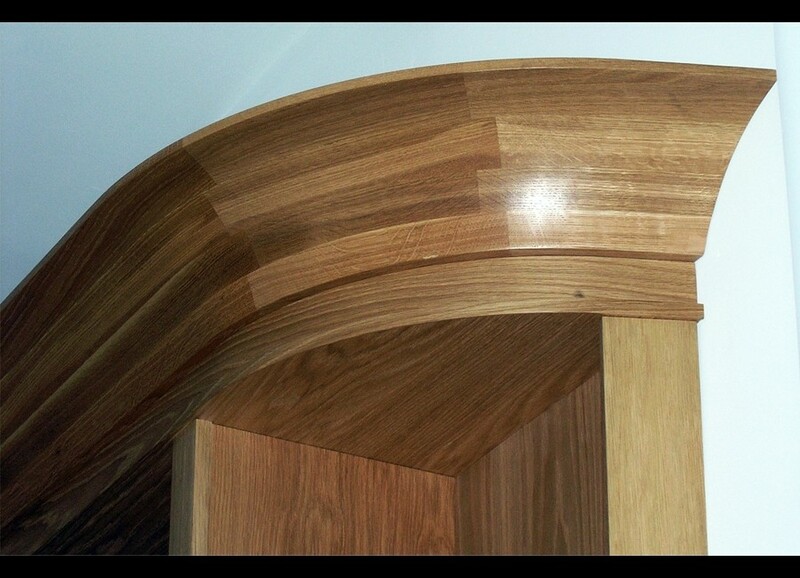 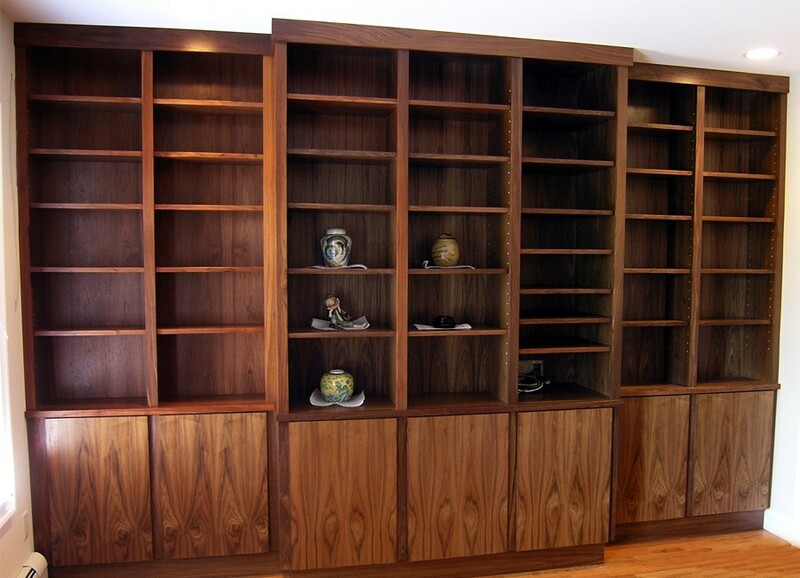 Walnut with space for audio/video equipment.